Timeless. Inviting. Sturdy. 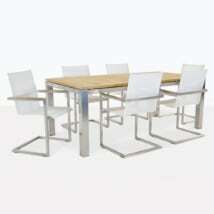 All things to expect when purchasing the Capri Outdoor Extension Table Set. 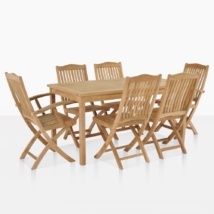 The Capri Outdoor Extension Table Set includes the Capri 64″ > 76″ > 88″ x 39″ Double Rectangle Table, 4 Wave Side Chairs and 2 Wave Arm Chairs to complete a classic dining look. 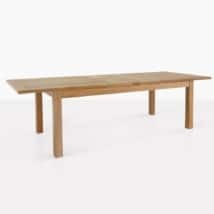 The Capri Rectangle Teak Double Extension Outdoor Dining Table our most versatile table: Built with 2 extensions on either side of a fixed point with an umbrella hole. Whether your party is large or small; this is a table that will make a stylish impact while accommodating all your guests! 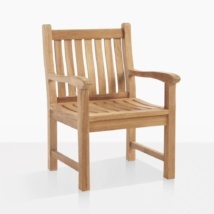 Part of our immense Capri collection, modeled on European style furniture from the turn of the century with satisfying, larger cuts of wood and master craftsmanship. 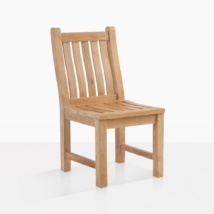 What do you get when you put together our most popular fixed chair and sellout table? 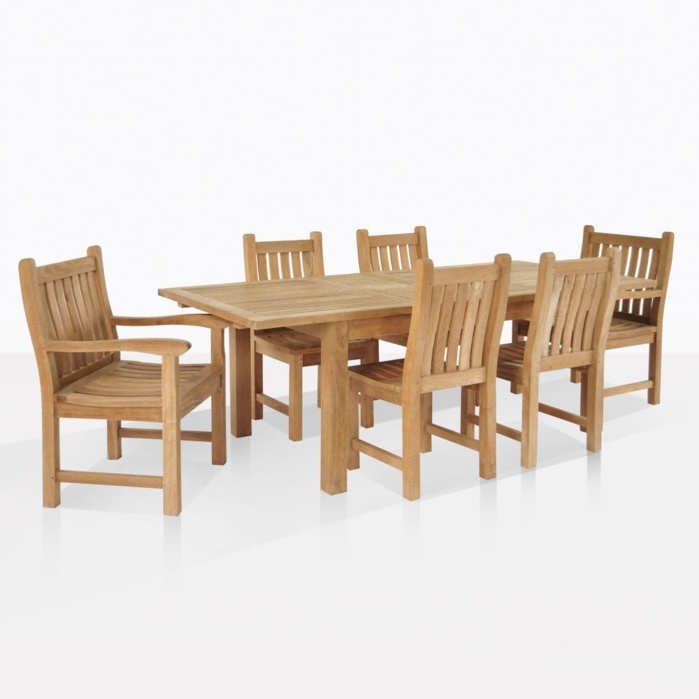 The most popular dining set we have at Teak Warehouse! The Wave Arm and Side Chairs follow suit with thicker pieces of wood in an ergonomically designed back and seat, featuring a light curve which looks gorgeous and supports the back, keeping you comfortable during those long, luxurious dinner parties! 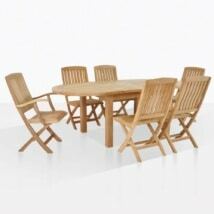 The Capri Outdoor Extension Table Set is all made from sublime A-Grade Teak – the highest quality of outdoor wood – and is delivered built and fully assembled from our huge facilities in the U.S.A. The Capri Double Rectangle Outdoor Extension Table is available in 6 different sizes and has an oval option as well, look in our dining tables section of the website for more options.